Turn the clock back to the Middle Ages and most people’s diets had very little in the way of sweetness. Perhaps from seasonal fruits in the summer, or sweeter root vegetables in winter, such as parsnips or carrots. For the better off, there may have been an occasional treat of dried fruits, such as raisins, sultanas and dates; or a little local honey. 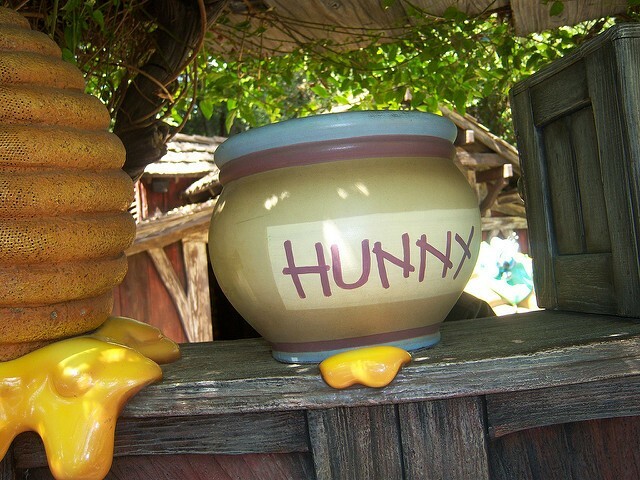 Not only was honey a valued sweetener but also played an important part in natural medicine. Honey – hopefully as most people know (!) – is produced from the nectar of flowers by worker bees. And, in the process, they pollinate a huge number of our staple food crops. The nectar is carried back to the hive in the worker bees’ honey sacs. Here the water content is reduced by about 50% before the honey is sealed into the cells which make up honeycomb. The bees then use it as food during the cooler months when flowers – and so nectar – are less plentiful. Honey contains a huge range of different nutrients in addition to glucose and fructose. These include Vitamins A, B, C, D, E and K as well as magnesium, sulphur, phosphorus, iron, calcium, chlorine, potassium, iodine, sodium, copper and manganese. It also contains high levels of live enzymes, as well as antimicrobial, antiviral and antibacterial factors. As you’d expect, honey is a natural source of energy, but also has a low glycaemic index. Unlike processed white sugar – which releases glucose quickly into the blood, causing blood sugar levels to rise quickly – honey releases its glucose slowly and steadily into the blood. This helps maintain a more stable blood sugar in the long term, so making it suitable for diabetics. Honey has long been used to dress wounds, burns and ulcers; with research repeatedly showing complete recovery without any infections, muscle loss or need for skin grafts. And this applies to honey generally, not just Manuka honey. In fact a traditional naturopathic variant of this is to add crushed garlic to the honey; so enhancing honey’s own antimicrobial, antiviral and antibacterial qualities. Honey can also be used to help soothe coughs, as well as for colds and flu generally. It can be taken by the spoon to soothe a sore throat, mixed with thyme to aid the expectoration of mucus / catarrh or simply used with lemon as a comforting drink. A teaspoon of honey in warm milk is another way traditional way in which honey is used, to help promote a good night’s sleep. Interestingly, research has found that this helps raise melatonin levels, the hormone which controls our sleeping and waking cycles. Honey can be used as a probiotic to help improve digestion or mixed with lemon juice to counteract nausea. It can also be mixed with baking soda as a skin exfoliator or as hair mask, to moisturise dry or damaged hair. With its myriad of traditional uses, it’s not surprising that honey has been the subject of much medical research, with studies finding it useful in many other ways. These include in lowering cholesterol, reducing levels of damage caused by free radicals, improving the circulation and reducing the inflammatory agents associated with lung problems such as Asthma and Hayfever. In addition, the pollens found in local honey can be used to help desensitise people to pollens in their particular area, so helping to reduce Asthma and Hayfever symptoms. Sadly, over recent years, the popularity of honey has led to large amounts of poor quality honey finding its way on to supermarket shelves. Much of this is imported, often from China and elsewhere in the Far East, and bears little resemblance to traditional honey. Traditional honey is produced locally by small beekeepers and is a raw food. This means that the honey isn’t processed but simply removed from the honeycomb by spinning. The empty honeycomb is then left near the hive for the bees to reclaim any honey residues. Larger scale honey production often relies on feeding the bees sugar syrup to boost honey production, so producing larger amounts of poorer quality honey. Heat is often used to maximise the amount of honey removed from the honeycomb, before it’s filtered and pasteurised. This not only removes many of the phytonutrients, vitamins and minerals but also the pollens, which prevents the honey’s origin from being traced. Inverted sugar solutions and glucose syrups may then be added, so bulking out the honey – or, in some cases, replacing it completely. The thumb test. Put a drop of honey on your thumb. If it spreads straight away, it’s not pure. If it stays in a drop, then it’s pure. The water test. Fill a glass of water and add one tablespoon of the honey to the water. Pure honey will stay in a lump and settle at the bottom of the glass. Honey adulterated in any way will start to dissolve in the water. The shelf life test. Pure honey crystallises over time or if the lid is left off. Adulterated honey will remain looking like a syrup, however long it’s stored. Price. Yes, we know it’s a cliché, but it’s true. Labelling. “Blended honey” or “Produce of several countries” are other giveaways. While we all know about the joys of honey of toast, there are so many other ways to use – and enjoy – it Honey can easily be substituted for sugar, so keeping the sweetness we all value, but in a way that doesn’t damage our health. So why not make a jar of locally produced honey a staple of your kitchen, as well as part of your first aid supplies? Not only will you be helping yourself, but your local bees and small scale beekeepers too.